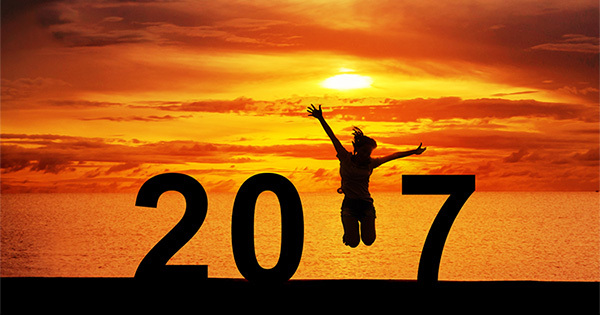 As we say farewell to 2016 and greet 2017, many of us will be making New Year’s resolutions. A New Year’s resolution is a tradition, most common in western countries, in which a person makes a promise of self-improvement of some kind in the new year. While we all have the best of intentions when we make our resolutions, about 25% of us give up on them by the second week of January. There are loads of resources available to help us stay on track and stick to our resolutions. The following tips will help you in making resolutions, and more importantly in keeping them! Set short-term goals for long-term results. Make your resolution about the journey, not the outcome. Create a schedule for your resolution. Use the buddy system. It motivates you to stick to it when you have someone else to answer to. Clearly state your goals-write them down and place them where you can see them daily. Keep records. Track your successes and your failures so that you will know what works and what doesn’t. Celebrate small victories to inspire yourself to keep going. Reassess your resolutions. If something isn’t working, make changes. Don’t give up so easily. YOU CAN DO THIS! Check out Ten Ways to Make Your Resolutions Stick for more tips and information. Wishing you and yours a happy and healthy 2017! 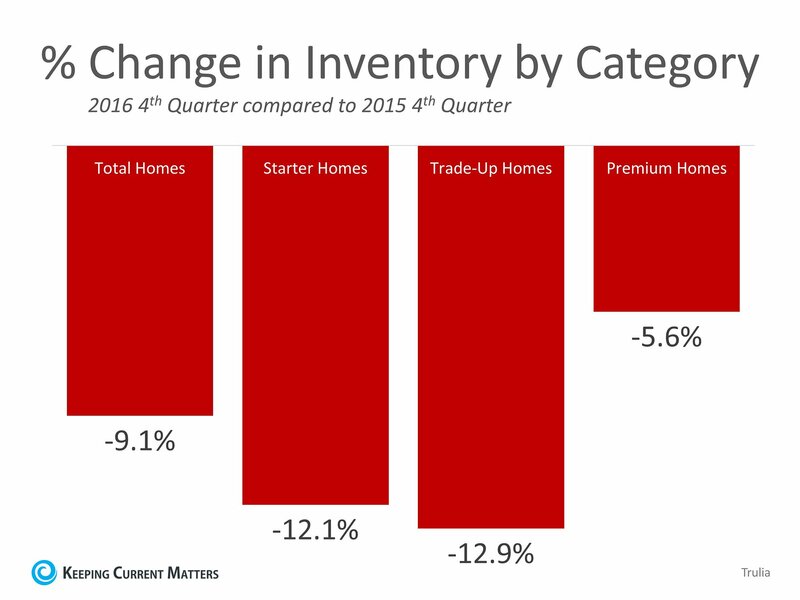 Demand for your home is very strong right now while your competition (other homes for sale) is at a historically low level. If you are thinking of selling in 2017, now is the time to contact The Melissa Thompson Team: 901.729.9526 and melissa@yourkeytomemphis.com. Looking for a family-friendly way to celebrate the end of 2016 and the start of 2017? Here are some fun options! Calling all crime fighting Children and their grown-up sidekicks to CMOM. Suit up in your favorite superhero costume, discover hidden powers and celebrate the New Year with the world’s coolest heroes! Before the clock strikes the New Year, pose for keepsake photos and enjoy superhero face painting, crafts, music, strolling magic, juggling, stilt walkers, aerialists, and balloon art. The countdown is celebrated with a balloon and goody toss! Because this event is an annual tradition and very popular, please make your reservations now by clicking the link below. Members are free and non-members are $15 each and includes a museum visit. All sales final – tickets are non-refundable! Plan on joining us for a morning full of fun, faux champagne and snacks on the house! This event is complete with festive SWAG for all and an epic countdown to noon. No reservation needed. 11am open, mega balloon drop at 1:30pm, hundreds of prizes. It’s time to celebrate the new year at Discovery Park! All children 12 and younger are invited to the Kids’ Noon Year’s Eve celebration at 11 AM in Dino Hall! There will be snacks, crafts, music and more! Then, countdown to NOON and celebrate! This is a free event with your annual membership or general admission! If you’re ready to leave 2016 in the rear-view mirror, then come race into 2017 with us at Autobahn Indoor Speedway. Open from 9 am to 6 pm, our karts will be zipping by at speeds up to 50 mph for you, your friends and your family to enjoy. Plus, we’ll be giving the 3 racers with the fastest average lap time free races! The fastest racer of the day will win an 8-Race Pack. The second fastest racer of the day will win a 3-Race Pack. The third fastest racer of the day will win 1 Free Race. Stop by for some fast and friendly competition before the big night! All-you-can-eat buffet, unlimited drinks, $20 game card, souvenir cup for $20.17/person. Game room closes at 10pm. We’ll have pizza specials, kids crafts, kids movies, dancing, sweet treats, and a balloon drop at 8:30pm! Special Holiday Public Skate: New Year’s Eve Skate! First 100 skaters receive free Glow Sticks! Admission $9, skate rental $3. Door Dash on New Year’s Day! Are you excited for 2017? Then start celebrating as fast as you can by visiting us on January 1st. From t-shirts to free races, we’re giving away a variety of prizes to the first 25 people through our doors. The fun doesn’t stop there, from 10 am to 10 pm our tracks will be open to the edge-of-your-seat racing you can only experience at Autobahn. Bring friends, family, whoever, just make sure you bring your A-game. Because this year—we’re faster than ever. Holiday Public Skating 7:15-9:15pm: Enjoy ice skating inside our Holiday-decorated facility, listening to Holiday music. Welcome home to 1115 Cordova Club Drive, an amazing home that you will have to see to believe! Built for entertaining, this spacious home offers an open floor plan with impressive formal rooms, plus comfortable everyday living spaces. Quality features include gleaming wood floors, gracious two-story foyer, neutral colors throughout, cozy fireplace, 4 bedrooms plus bonus room, 3 full bathrooms, open grand middle hallway with soaring two-story open area, laundry room, 2 car garage, and so much more! Host the finest dinner parties in the romantic dining room with a dazzling chandelier, gleaming wood floors, crown molding, chair rail, and an arched window. Cooking will be a delight in this incredible eat-in kitchen with cabinet and counter space galore, desirable granite countertops, durable tile flooring, breakfast bar, full complement of appliances including double ovens, microwave, dishwasher, double sinks, and a cook-top. In addition, this kitchen offers a sunny breakfast area and hearth room. Family and friends will enjoy gathering in the splendid hearth room located off the breakfast area illuminated with tons of natural light beaming in through the windows, plus a glass door leading to the fenced backyard. Enjoy comfortable everyday living in the captivating great room flaunting a cozy fireplace, perfect for those cold winter nights. You will rest easy in your downstairs master retreat with walk-in closet, and a spa-inspired luxury master bathroom boasting an elongated dual sink granite vanity, durable tile floor, relaxing whirlpool tub, and a divine walk-in shower. This home offers one additional bedroom downstairs and two more bedrooms upstairs. Each comes complete with plush carpeting, neutral colors, closets, and two shared full bathrooms with tub/shower combinations. The downstairs bathroom has granite. Upstairs you will find this fabulous bonus room offering a great space for recreational fun. Relax outside in the iron fenced backyard that backs up to the green space enhanced with a basketball court, deck and a nice patio with an arbor, perfect for cookouts and parties! Do not miss out on this fabulous home! Welcome home to 7736 Ivy Mist Cove, an amazing two story home in the Hunters Hollow Subdivision, that you will have to see to believe. Quality features include gleaming wood floors throughout downstairs, 3 bedrooms plus a bonus room, 2.5 bathrooms, neutral colors throughout, new carpeting upstairs, granite countertops, nice wet bar, attic, cozy fireplace, lovely dining room, spacious great room, laundry room, eat-in kitchen, luxury master bathroom, 2 car garage, fenced backyard and more! Spacious, warm and inviting great room is enhanced with a chair rail, cooling ceiling fan, and a cozy fireplace, perfect for those cold winter nights. Style and utility are masterfully fused together in the incredible eat-in kitchen with pristine white cabinetry, recessed lighting, desirable granite countertops, island breakfast bar, pantry, and a full complement of appliances including a dishwasher, sink, stainless steel oven and Viking range. The sunny breakfast area is the perfect spot to enjoy your morning coffee. Host the finest dinner parties in the romantic dining room embellished with a chandelier, crown molding and a chair rail. The laundry room has lots of cabinet space and a sink. Come home and relax in your private master retreat featuring a soothing ceiling fan, walk-in closet, new carpet, and a luxury bathroom enhanced with tile flooring, whirlpool tub, divine walk-in shower, and a double vanity with make-up area. Play, party or entertain the large bonus room with a great wet bar. The delightful fenced backyard comes complete with a patio and pond. Do not miss out on this incredible Home! Welcome home to 1574 Far Drive, an amazing, all on one level, move-in ready, Cordova home situated in the Lee Line Farms subdivision that you will have to see to believe! Quality features include fresh neutral paint throughout, new carpet, soaring ceilings, split bedroom plan, 3 bedrooms, 2 baths, gracious entry, laundry room with cabinets, 2 car garage and much more! Style and utility are masterfully fused together in the eat-in kitchen equipped with tile floors, pantry, breakfast bar, full complement of appliances, and a sunny breakfast area. Spacious, warm and inviting great room is enhanced with a soaring ceiling, access to the backyard and a cozy fireplace, perfect for those cold winter nights. Come home and relax in your private master retreat featuring a luxurious bathroom complete with double vanities, whirlpool tub, and a divine walk-in shower. The delightful fenced backyard has a nice patio, which is perfect for cookouts and parties! Do not miss out on this terrific home! "to give up one's very self — to think only of others — how to bring the greatest happiness to others — that is the true meaning of Christmas". The phrase is especially associated with Charles Dickens' A Christmas Carol (1843), in which an old miser is taught the true meaning of Christmas by three ghostly visitors who review his past and foretell his future. The topic was taken up by satirists such as Stan Freberg and Tom Leher during the 1950s and eventually by the influential TV special A Charlie Brown Christmas, first aired in 1965 and repeated every year since. The phrase and the associated moral became used as a theme in numerous Christmas films since the 1960s. As you gather with family and friends to celebrate this year, take time to think about the origins of some of the traditions of Christmas. Santa Claus – his story begins in the 4th century with St. Nicholas, the Bishop of Myra (an area in modern day Turkey). St. Nicholas was known to be a generous man especially devoted to children. Because he was so kind and benevolent, rumors began that he could perform miracles. He became the patron saint of Russia and was known for his red cape and flowing, white beard. He has his own feast day that is celebrated on December 6…a day of gift giving and charity. The story of St. Nicholas was passed down through generations and his name transformed over time. The Dutch called him Sinterklaas. Dutch children would leave their wooden shoes by the fireplace and Sinterklaas would reward good children by placing treats in their shoes. This tradition traveled to America with Dutch colonists and here the Anglican name of Santa Claus emerged. Christmas Trees – the decorating of fir trees originated in 16th century Germany where trees would be adorned with apples, roses, candies and colored paper. The Christmas tree was brought to England by Queen Victoria’s husband, Prince Albert, from his native Germany. The first Christmas trees in America were introduced by Pennsylvania Germans and became popular by the middle of the 19th century. Mistletoe – mistletoe was used by Druid priests 200 years before the birth of Christ in their winter celebrations. They held the plant in high esteem because it had no roots, yet remained green throughout the winter season. The ancient Celts thought that the plant had magical healing powers. It was also seen as a symbol of peace and it was said that when enemies met under mistletoe, they would lay down their weapons and embrace. Scandinavians associated the plant with Frigga, the goddess of love. This is perhaps where the custom of kissing under the mistletoe began. It is thought that those who kiss under the mistletoe have the promise of happiness and good luck in the year to come. The Christmas Wreath – The Christmas wreath is another tradition that has been around for a long time. The first wreaths were created from fresh evergreens. Because they are green year round they were the obvious choice for winter months. The word “wreath” is derived from an English word meaning “to twist”, such as in a circle. Some believe that initially wreathes were hung on doors in Ancient Rome to represent victory. The circle shape with no beginning or end represents eternity or life never ending. While celebrating with these ancient traditions and with your own family traditions this year, may you be surrounded by peace and joy. Merry Christmas! Whether you’re staging your home in preparation for putting it on the market or you’re redecorating, choosing the décor can sometimes be a little intimidating. As 2016 comes to an end, let’s look at the most popular trends for home décor over the past twelve months. Black Stainless Steel – The most popular appliance finishes seem to change every few years. This year sleek, black stainless steel took the top spot away from the shiny silver that had been the most desired in recent years. Formal Dining Rooms – This year formal dining rooms made a huge come back as more people opted to keep them rather than convert the spaces into media rooms or offices. Statement Bathroom Mirrors – Funky mirrors made a splash in bathroom décor this year. Fun designs draw the eye and add to the overall charm of the room. Check out this Before & After to see for yourself! Tech-less Family Rooms – In a world where technology is EVERYWHERE, many are choosing to keep their family rooms tech free in order to facilitate family time. This lovely tech free room shows that a house can look sharp without electronic gadgets all around. Matte Finishes – Last year was all about shiny and metallic. This year the opposite is trendy. Textures created with oxidized metals, matte glazes and chalk- finish paints can be found on all types of home décor, like this snazzy light fixture which can be found on Etsy. Geode – Sparkly rocks could be found everywhere this year. The “unearthed” geode aesthetic appeared on everything from wedding cakes to bottle stoppers to tables and shelves in homes. Check out Anthropologie for some “rocking” decorative geodes! Faux Fur – Another way to add a touch of luxury to a room is to give it a pop of faux fur. This alluring texture appeared in blankets, pillows and even wall hangings in a variety of spaces including bedrooms, living rooms and even dining rooms. New Neutrals – Yesterday’s taupe is today’s blush. Along with other pale colors such as silver and soft blue, these “new neutrals” are the most popular colors this year. Have fun decorating and contact Melissa Thompson at We Know Memphis for all of your real estate needs!